Ex international, Patrick Pascal has urged the Nigeria Football Federation not to stop Super Eagles technical adviser, Genort Rohr from extending an invitation to the duo of Victor Moses and Isaac Success for next month’s 2018 FIFA World Cup qualifier against the Desert Foxes of Algeria slated for the Godswill Akpabio Stadium, in Uyo. It was reported in some media that the Glass House are planning to suspend Moses and Success for failing to honour their invitation for the team’s match against Zambia which they won 2-1. ‎However, there are concerns in the football caucus that taking such an action won’t be the best move for the team right now. This was further made clear by Super Eagles team coordinator, Pascal, who was part of the team prior to the 1998 World Cup hosted in France. 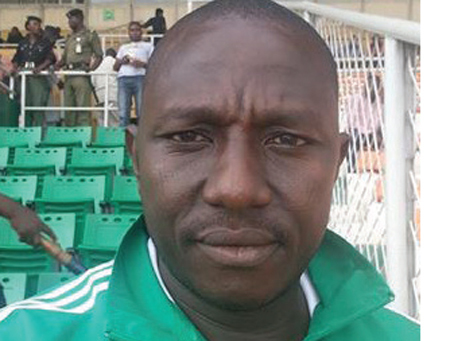 He‎ told soccernet.com.ng that the team needs their best players to conquer the Desert Foxes in Uyo. “It’s amazing that the Nigeria Football Federation are planning to stand in the way of the Super Eagles technical adviser, Genort Rohr from inviting Victor Moses and Isaac Success against Algeria. To be frank, I don’t really think they are really taking the matter seriously even though I read it in the media that they want to ban Moses and Success,” Pascal told Soccernet.com.ng. “Anyway, we should always be careful with the way we handle issues that could directly or indirectly have effect the cohesion and progress of the team. What we need now is our best players and I believe presently Moses and Success are not playing badly for their respective clubs in England. “Perhaps, some people may be blowing false trumpet just to gain media attention, something which I don’t think is necessary at this point of the qualifying campaign for the Super Eagles,” he said.